Robust Health Starts Here! Opt in and you'll receive FREE health hacks, recipes, clinic news and notification of SPECIALS. We'll never spam you or share your email address with others - promise. Wild Fern Natural Health provides naturopathic primary care for the whole family. 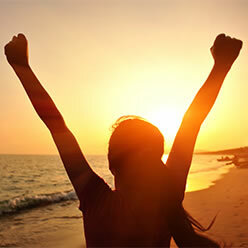 Our practice is dedicated to helping you achieve the freedom that comes with optimal health. The Wild Fern Natural Health Apothecary offers the highest quality supplements available. We stock only the best products from trustworthy vendors with an excellent track record for consistency and disclosure of all allergens in all formulas. Really picture it. Less stress. More energy. Less pain. Balanced Moods. More fun. Freedom. Is it hard to do? Chances are, you’ve landed here because you’re struggling with how to juggle life’s demands – the household, the kids, work, your partner – not to mention the dog and an attempt at a social life. There’s very little time for you or self-care. You’re exhausted managing the needs of so many. Maybe you’re not getting much sleep and the stress of daily life leads to headaches or chronic pain. You might be carrying extra weight – frustrated by mood swings and hormonal shifts. It’s possible that you’re not even sure what’s wrong, you just know that you’d really like to get your energy back – focus on you for a change. It’s disappointing that your current health care is not getting the results you’d hoped. You’re ready for real transformation. That’s where we come in. Picture your physical and emotional health shifting from the back burner to center stage – TODAY! Imagine what would life look like if the aches and pains, the extra weight, the stress and worry disappeared. What if overwhelm and exhaustion were replaced with confidence and freedom? Freedom in your body, mind and soul. It is possible. You deserve excellent health and we can help you achieve it. For real. We are Ashland’s premier naturopathic clinic. We are what real health care should be. Our thorough, transformational process addresses your discomfort while we uncover the root cause of your dis-ease. It begins with deep listening and a comprehensive medical evaluation that helps paint your entire health picture. The result is a realistic and practical treatment plan customized for your specific needs. We’ll establishes a long-term partnership that allows you to experience wellness beyond your wildest dreams. You will be transformed, if you’re ready. This is Wild Fern Natural Health. The Health Care You Deserve. We understand how challenging it is to feel worn down, exhausted and defeated by poor health. We can relate to the hopelessness and fear that come with unanswered questions and the frustration of short term suppression of symptoms. We also know the freedom that is available when the root cause is uncovered and optimal health is achieved. As licensed Naturopathic Physicians, our preferred treatment modalities work in rhythm with nature and include sleep, routine, exercise, nutrition, botanicals, homeopathy and flower essences to alleviate symptoms and treat the underlying cause of dis-ease. We will be your partners – helping you create the health you’ve always dreamed of. We’re ready. Are you? Dr. Brigid was able to discover the cause(s) of my family’s health issues that we have been suffering from for years. I have recommended her to friends and family. She made the process enjoyable. I am very grateful for her expertise to help us feel good, finally! I’ve only been with Dr. Crowe a few months, but already she has done more to help me than any doctor I’ve ever seen in my life! Already I am experiencing tangible differences in my health for the better and I’m looking forward to the future now. Dr. Crowe is firm yet kind and clearly cares about my well-being and enjoys what she is doing. She is extremely knowledgeable and I trust her to continue my health care and am excited to keep going! Empowered, motivated and hopeful. That’s how I feel walking out of an appointment with my naturopath Dr. Brigid Crowe. I am a healthy person, with very few physical complaints, but Brigid has helped me uncover some sneaky symptoms that other practitioners have missed and I am excited at the prospect of being very much in charge of my long term health and well being. Brigid’s teamwork approach takes my budget, lifestyle and daily habits into account when putting together realistic health plans that I will actually follow…for real. I am so grateful to have Brigid’s knowledge and experience on my side. “I am halfway through a yearlong intensive protocol with Dr. Crowe and the results are already dramatic. My memory recall and ability to problem solve and quickly interpret situations around me have not only improved, but are better than they’ve been in 10+ years. My recent blood panel showed dramatically better results across all facets. I can tell because I feel SO much better. I have lost 15 pounds of water weight/inflammation. I had been unable to lose that weight despite five years of actively trying. Dr. Crowe is diligent, thorough, and methodical in her approach towards creating personalized health protocols. The results have been so marked in a relatively short time that I am continually fueled to keep at it. “Dr. 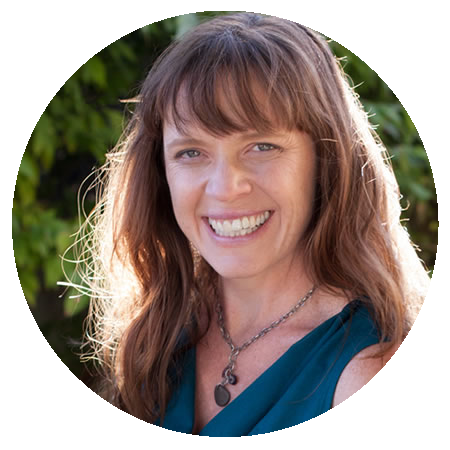 Brigid is the first practitioner I have encountered in my long journey back to health that validates me and takes my health issues seriously. Dr. Brigid’s approach is refreshing and gives me hope that I may someday be well again. She is intuitive and compassionate, and I believe, wise beyond her years. With her guidance and support, I am hopeful and expecting to turn my health around.” - Judith C.
Opt in and you'll receive FREE health hacks, recipes, clinic news and notification of SPECIALS.